I should be using smaller heads, where possible. For Arctic Foz, prefer 2XL. 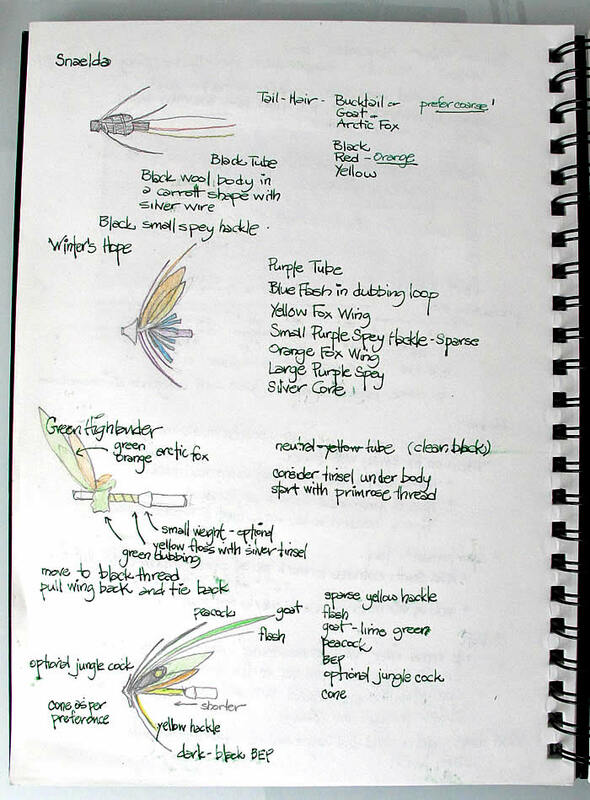 Some of the colours are dyed by me – specifically the Ice Bunny and the Hackle for HaleBop. 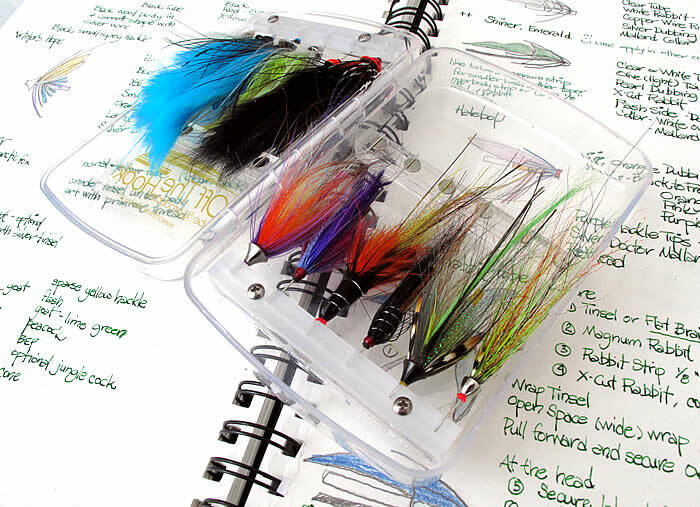 I have been travelling and have not had much time for Winter Steelheading or tying flies. 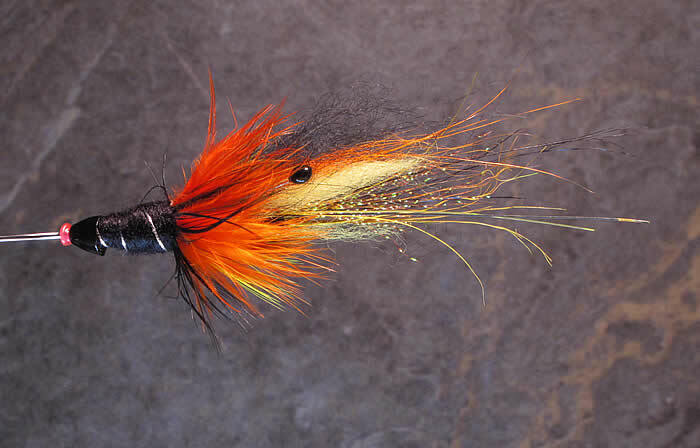 I have recently been trying tube flies, and here are my first flies. In subsequent postings, I will add notes and lessons. 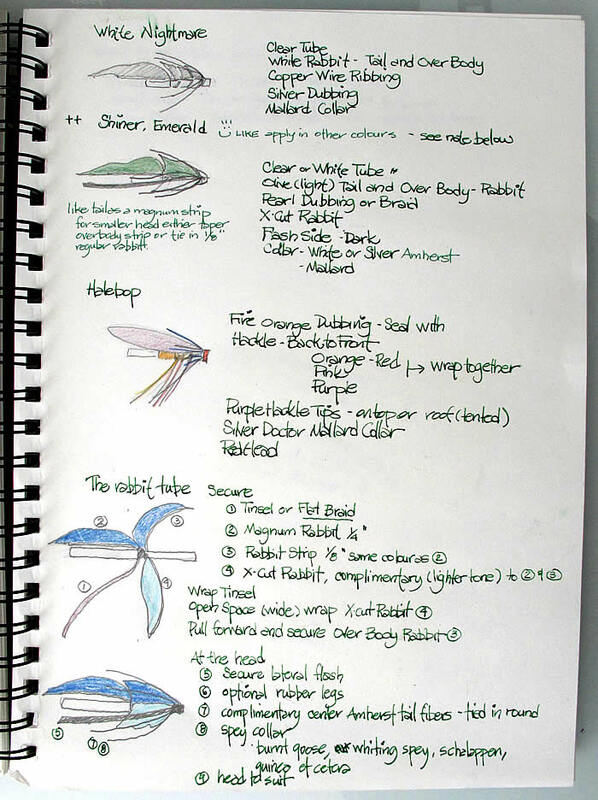 Ice Bunny – My last tie using rabbit, applying my what became my favourite recipe. 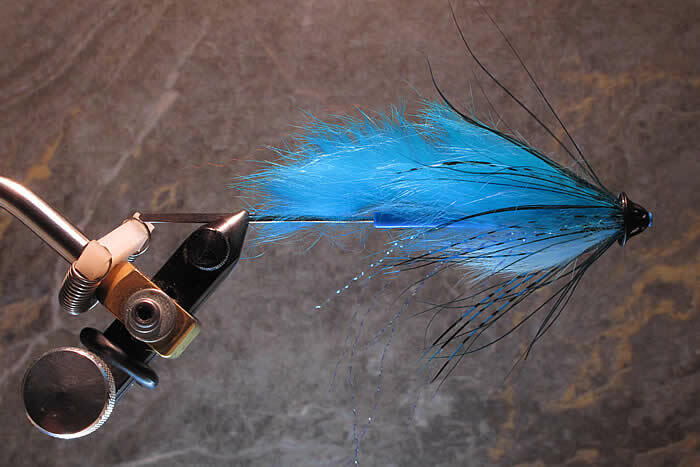 Tail – Magnum Rabbit – Ice Blue. 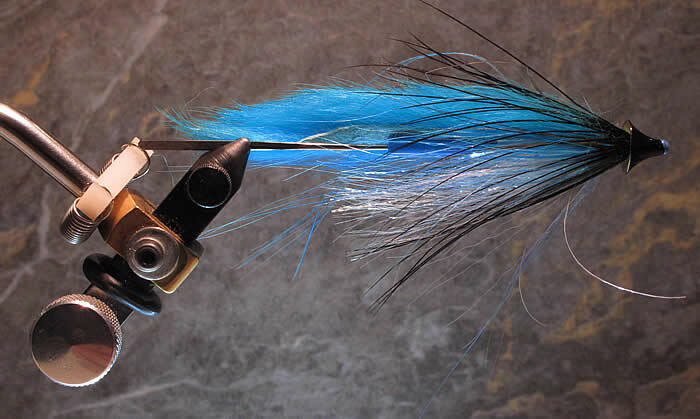 Ribbing – Lightly Dyed Blue Crosscut Rabbit. 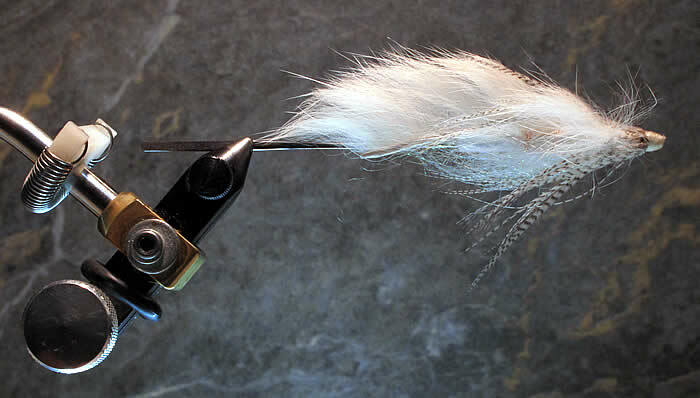 Collar – Amherst Fibers and Black Burnt Goose Hackle. 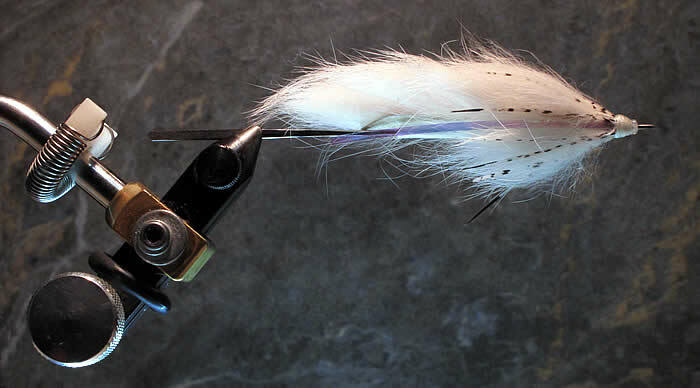 Blue Bunny with a flash hackle under body. 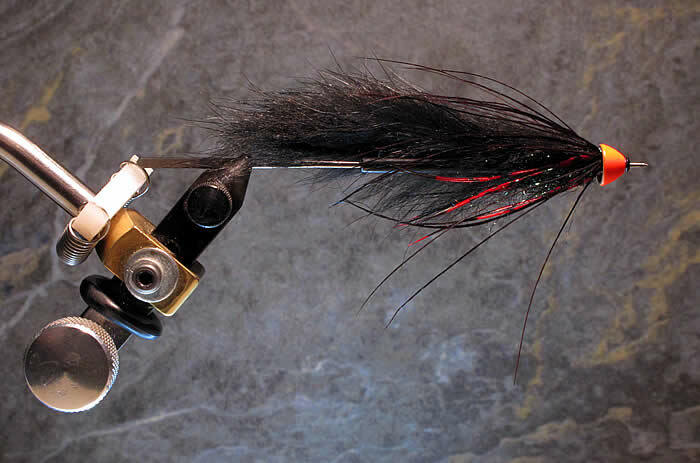 An earlier version, but using a Flash Hackle for the body and carrying over the the magmum strip over the body to the head. Unfortunately, the magnum strip makes for a clumsy head. ESL-1 – Egg Sucking Leech 1. Tried with Ice Dubbing (Black-Peacock) for the Body. Not bad, and the cone head does cover the bulky head from the magnum strip pver the body. 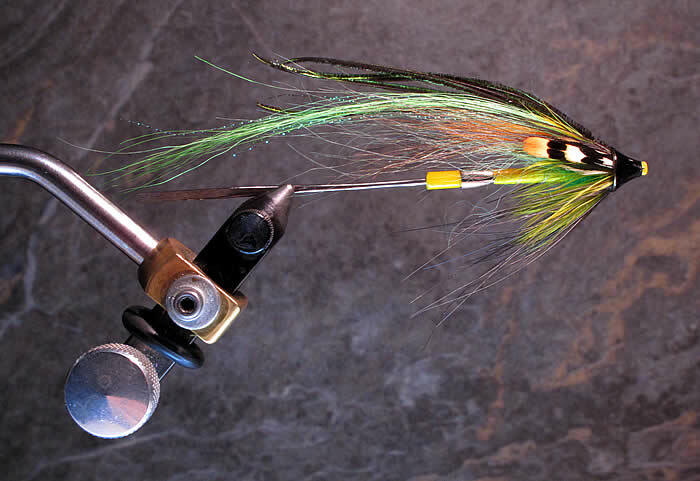 Emerald Olive Bunny using a Whiting Spey for a Collar Hackle. 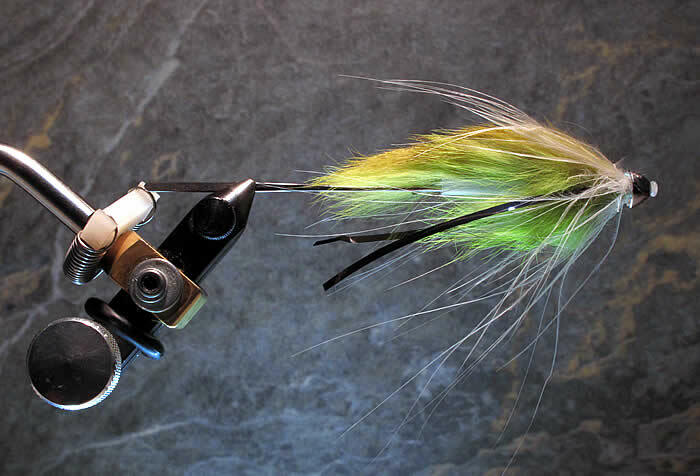 This was my second attempt at a rabbit fly and my first using a XCut Body. 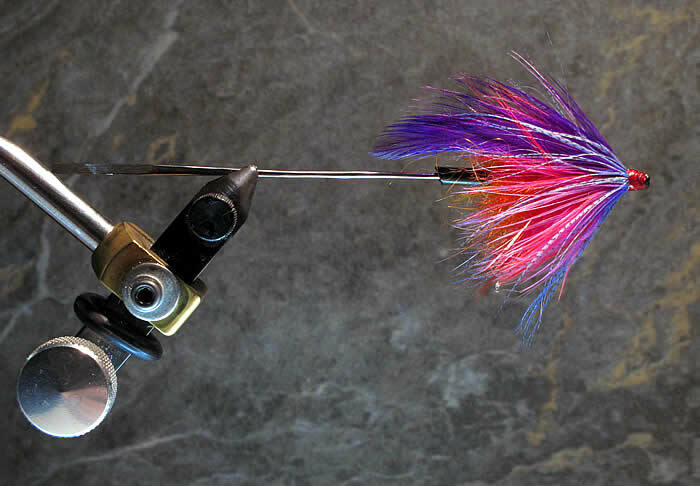 I am using 1/8″ through-out (works), but the spey collar (Whiting Spey) is effective and but not neat. White Bunny using my preferred formula of 3 sections of rabbit > Magnum for the Tail, Standard over the body and XCut for the body. I kept it simple and just the lateral flash and some silver amherst. 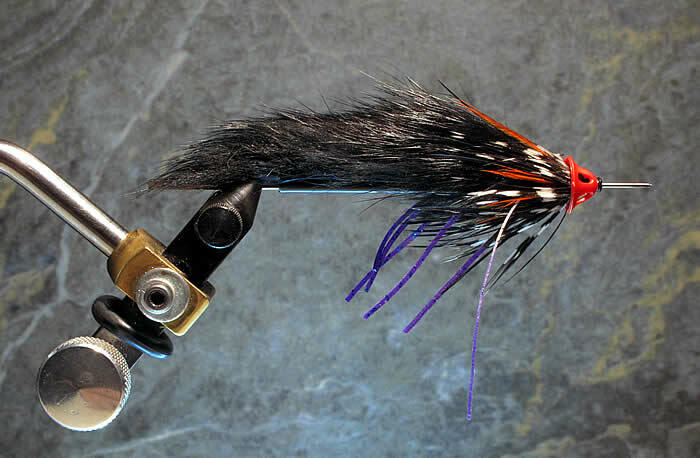 Snealda – Should use stiffer and larger tail fibers. 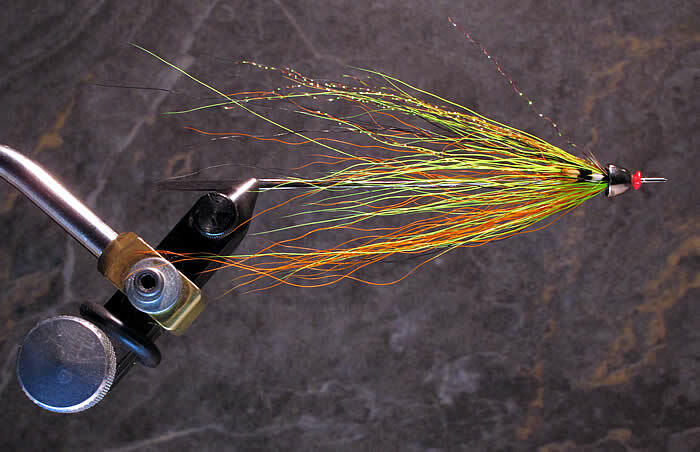 Right now, I am leading to coarse deer bucktail. 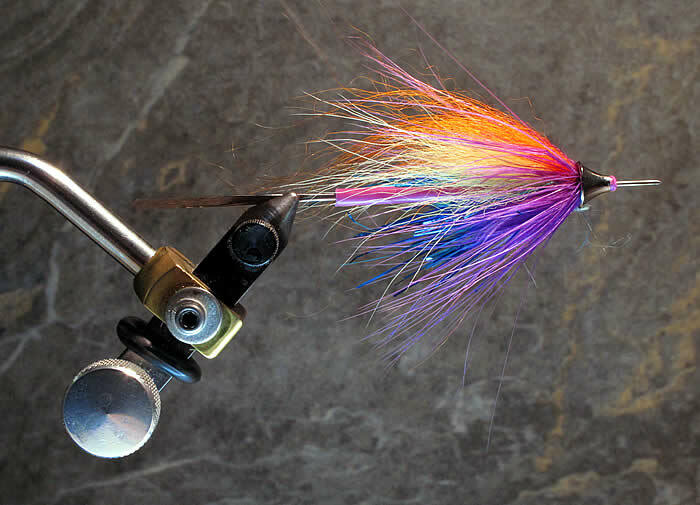 HaleBop – feathers dyed to my eye to blend. The orange seal dubbing is heavily picked out. 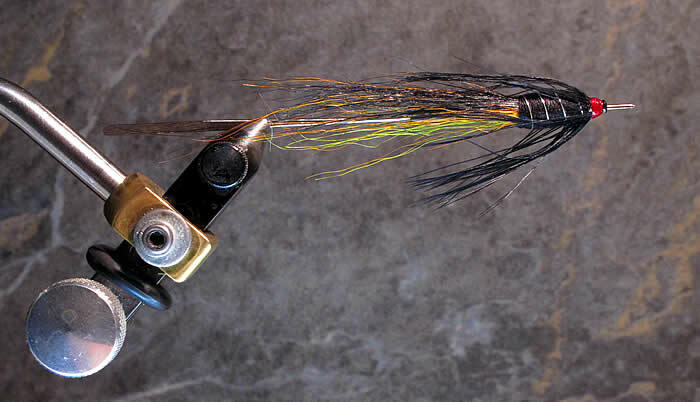 I think I am going to keep this fly, but just converted to a standard steelhead hook. Winter’s Hope. Works for me! Green Highlander Conversion using a long goat overwing. Be interesting to see how the goat swims-swings when I fish it.